This is a simple, easy to make recipe without compromising on flavor. 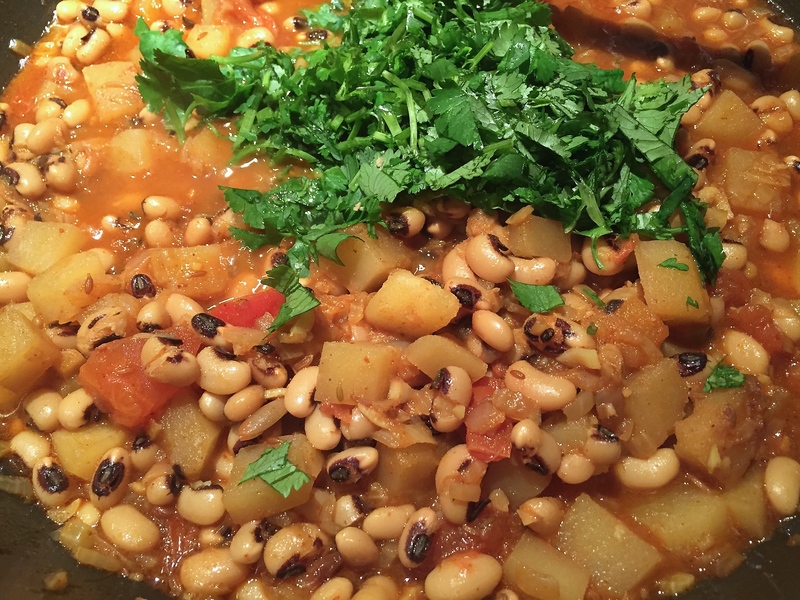 Black eyed peas stewed with ginger, garlic, tomatoes and warm spices makes a perfect meal served with rice, or any bread of your choice. 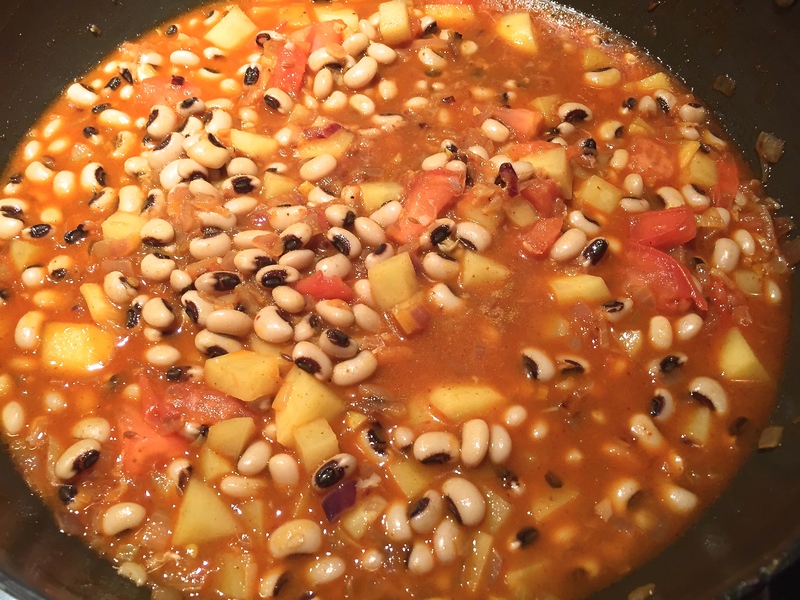 Soak the black eyed peas in hot water for 15 minutes. 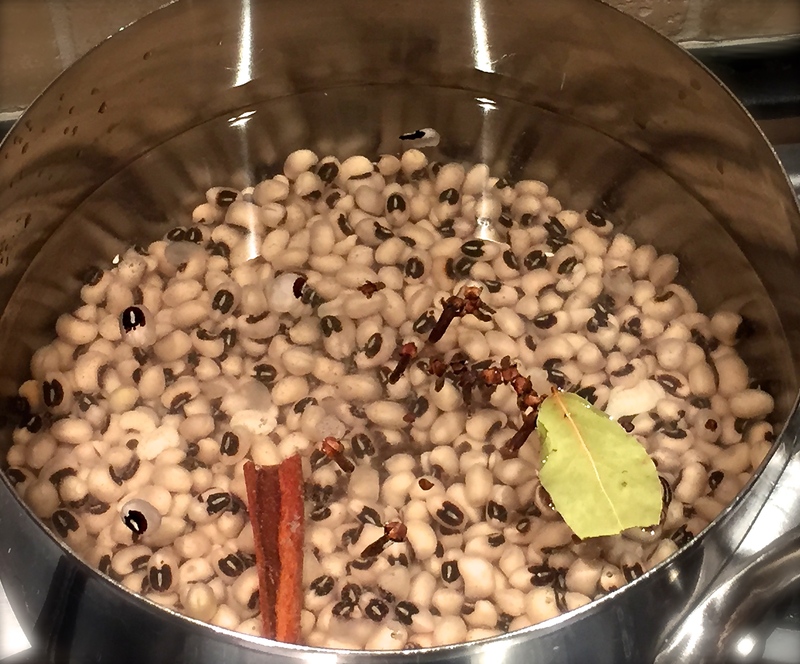 Fill a pot with cold water, strain the black eye peas from the hot water and add to the pot of cold water. Add 1/2 tsp salt, cinnamon, cloves, cardamom, bayleaf, and bring this to a boil over high heat. Cover the pot, drop the heat to low and cook for 25-30 minutes. In the meanwhile, heat the butter and oil in a pan over medium heat. (the pan should be large enough to mix this all). 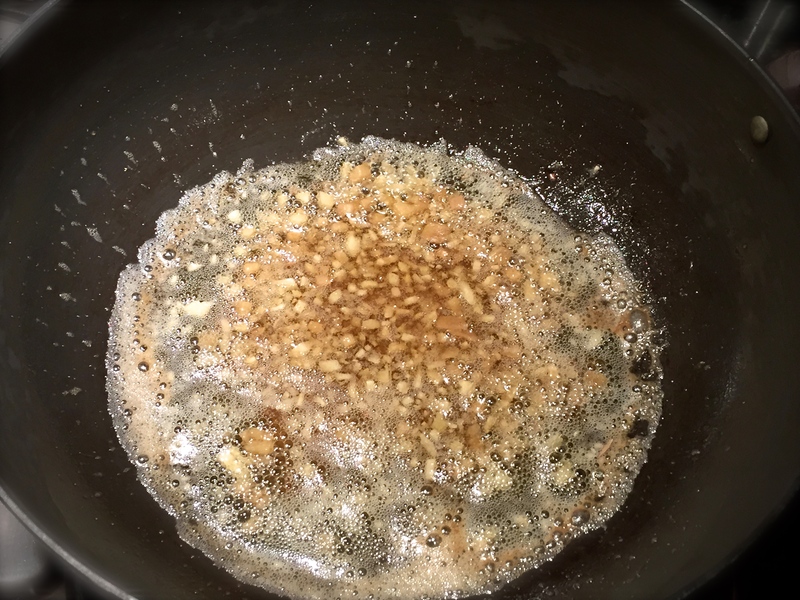 Once the butter has melted, add the cumin seeds and sauté for 30 seconds. 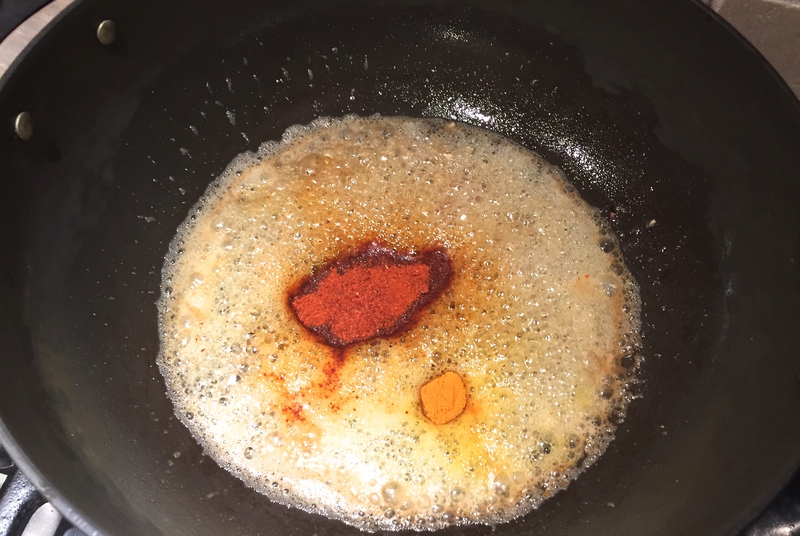 Add the garlic, ginger, red chilli powder and turmeric powder. sauté together for another 30 seconds. 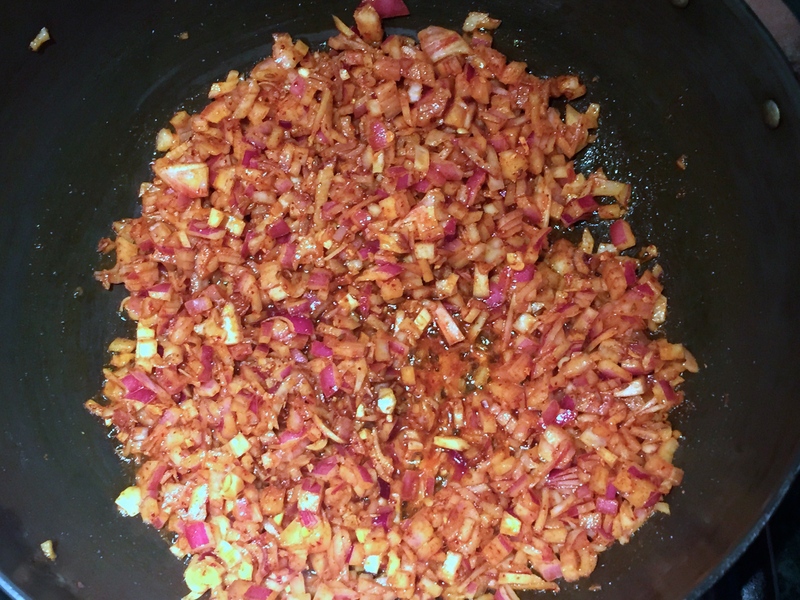 Add the chopped onions, mix well and cook for 8-10 minutes until the onions turn translucent and start getting a bit crispy. 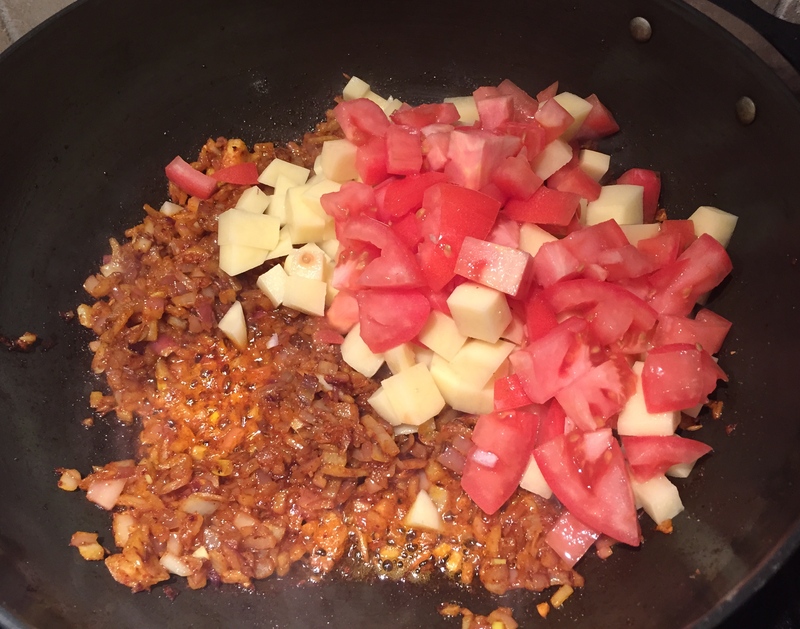 Add the chopped tomatoes and potatoes with a tsp of salt. 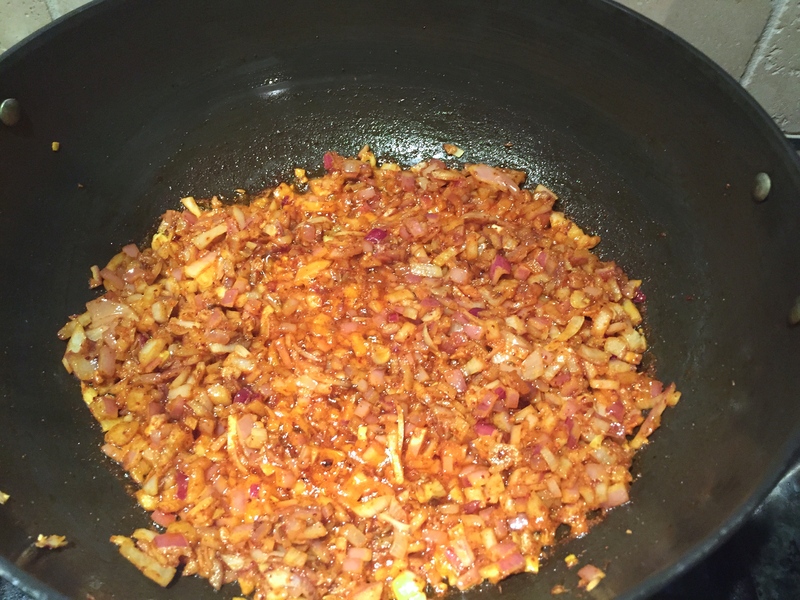 Mix well, cover the pan and cook over low heat for 15 minutes. The water from the tomatoes are usually enough to keep this moist without burning on the bottom. If your tomatoes aren’t juicy, then you may need to add a few tablespoons of water. Back to the black eye peas now. After 20 minutes of low heat boiling, I check every 5 minutes, so the black eyed peas are tender, but not falling apart. The quick way to test is to pick one and try to squeeze with between your fingers. It should hold its shape, but still be squeezable and soft. 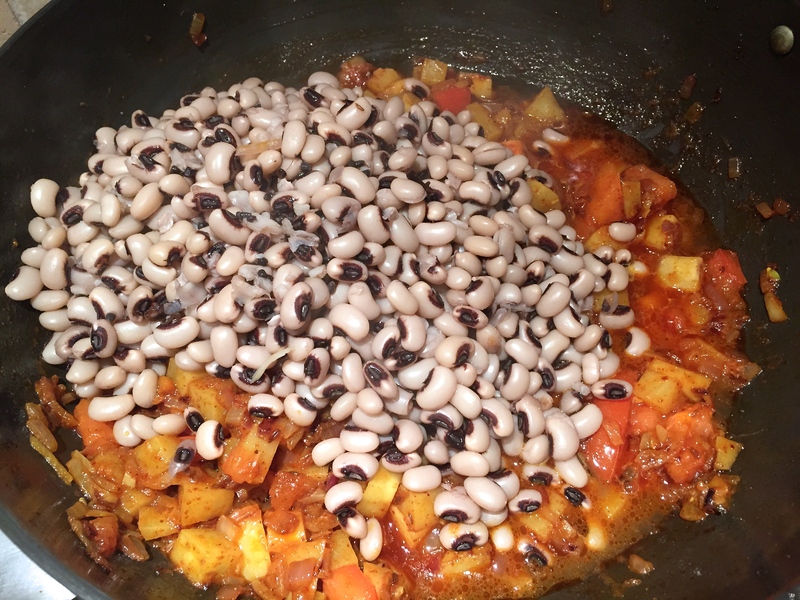 Drain the blacked eyed peas, discard all the spices in the water and add the cooked black eyed peas into the tomato-onion mixture. Add 1/2 cup of water and let it all cook together over medium-high heat for another 10 minutes. 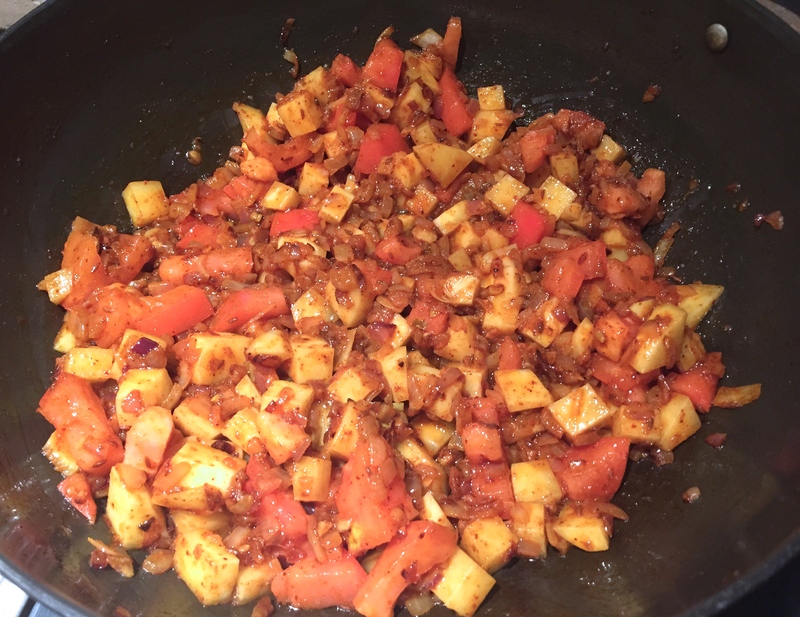 This gives the peas time to absorb all the flavors from the tomato masala. Add the chopped cilantro, mix well and serve.